As a father, you obviously have a very close and important connection to all of your children. But there is something about the father-son relationship which is always going to be particularly special. It is highly likely that you feel a certain affinity towards your son which you would like to maintain, and if so the good news is that there are plenty of ways to do so. As long as you are keen to keep the relationship going strong, you can always find ways for that to happen. The truth is that learning to deepen that bond is easier than you might think, especially if both of you are truly on board. 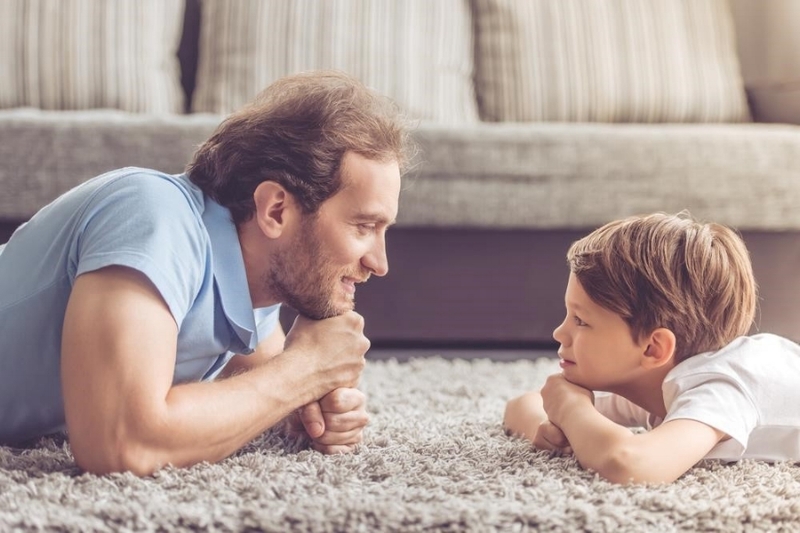 Without further ado, let’s take a look at some of the very best ways in which you can expect to deepen the relationship you have with your son. One of the simplest and most powerful things you can do is also one of the most commonly overlooked or avoided. The more you talk with your son, the more likely it is that the relationship will continue to strengthen and deepen, and you will have much more opportunity for it to grow as well. The trouble here is that so many men - and their sons - often find it difficult to talk openly. However, you don’t need to talk about anything that makes you too uncomfortable. The important thing is just to talk at all, in which case you will already notice a distinct shift in the way that you treat each other. It is however valuable to also have more important heart-to-hearts from time to time, and it’s a good idea to do your best to make that happen. The more you do this, the more likely it is that a feeling of genuine trust will develop between you. That trust is probably the most important thing in the relationship, and it’s something that you can only gain by talking. So make sure you are spending a good amount of time talking properly with your son. You will be very glad you did so, especially when you see the amazing strides your relationship will suddenly start to take. If you want to be the best father to your son you can be, you will need to appreciate fully the nature of the relationship. The fact is that the father-son dynamic is quite unlike any other, and it’s a good idea to make sure that you understand it as well as possible. Overall, you must appreciate that your son is going to be influenced by you a great deal, and that this means a great responsibility is placed upon your shoulders. With an awareness of this responsibility guiding your actions, you should find that you are engaging with your son in a way which is much more likely to be conducive to their happiness and their success. It will also make the relationship itself a great deal stronger on the whole, so that is also worth bearing in mind. This is something that you can do at any age and it will always be worthwhile. Although it might well be quite a simple action, the truth is that buying your son a gift - or the other way around - is a powerful way to show how you feel. It is even better when you do it for no apparent reason at all, in other words not for a birthday or Christmas and so on. Buying gifts for one another allow you the opportunity to express that you know and understand the other well, and that you are happy to show them so. The gift itself is less important than the act of giving, so it doesn’t matter whether you choose to gift your son with Bridge & Burn mens printed sweaters or a fishing rod - the idea is the same. Do this as a surprise, and you will be amazed at what it can do to strengthen and deepen your relationship, and how fast it will do so too. If there is anything that ensures that you can feel as close to your child as you like, it is taking on a big project together. This is something which lends itself especially well to fathers and sons, and it’s a very good idea to do this once in a while if you want to remain close to your son. The project in question can be anything you like, but ideally it will be a common interest of the two of you. If you are struggling to find a common interest which you can work on together, go for something that is entirely new to both of you. Take a carpentry course. You can both feel connected when learning to use cool wood working tools to create something together. Discovering something brand new together is a fantastic way to strengthen the bond, and you will find it is actually a lot of fun as well. Something that will always be guaranteed to bring you closer together is to go on a camping trip together. This is especially effective if it is just the two of you, but even with the whole family there can be similar benefits to doing so. The beauty of a camping trip specifically is that it has something about it that makes it conducive to father-son bonding. You will find that it is hugely powerful in this respect, and it’s the kind of experience that your son is likely to remember fondly in the future as well. Creating memories in this way is obviously fantastic too, so this is doubly powerful and should be considered an essential act for any father and son team. If you consider the above, you will find that you are able to deepen your relationship to your son much more effectively than you had thought possible. This will mean that you can enjoy spending time with your son all the more, and that will be fantastic news for both of you.